Limited 180gm vinyl LP pressing. 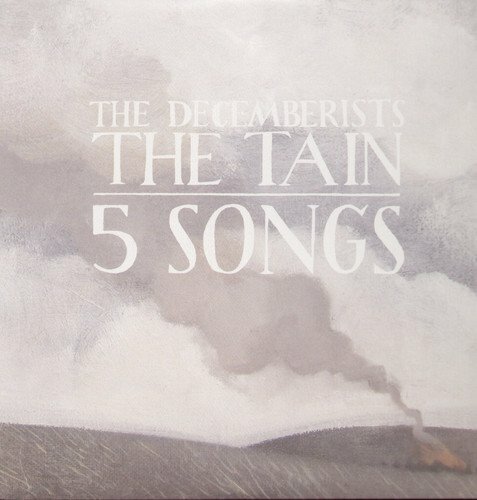 A combination of new and old, of where The Decemberists have been and where they're headed. The A-side is made up of the short form concept, record called the Tain, based on what most consider the Illiad of Irish myth. While keeping the signature Decemberists sound intact, the band gives a significant nod to such '70s Progressive rockers as Deep Purple and Iron Butterfly. The Tain was recorded over an intensive four day period during which the band actually slept on the floor of the recording studio, and brought to light with the help of Christopher Walla (Death Cab for Cutie Cutie) at the venerable Hall of Justice in Seattle. The B-side is a vinyl release of the band's first EP 5 Songs. It is simpler and less adorned, but still a marvelous collection of characters trapped in song, clawing and cooing their way out. If you have any questions about this product by Jealous Butcher, contact us by completing and submitting the form below. If you are looking for a specif part number, please include it with your message.